Welcome to Abroad Indians. It's a unique platform for Indians in Canada and World. Here NRI people can connect with each other, share information and make friends. Site offers NRI community discussion forums where you can discuss about various topics. You can buy & sell items through classifieds and lots of useful guide information for newcomers and Indian expats. Driving licence, Journeyman trade certification in Canada. 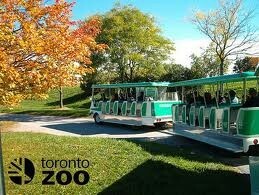 Toronto zoo, a place to spend hours of fun and adventure.